Peter Drucker once said, “What gets measured, gets managed.” With the help of the Internet of Things (IoT) technologies, companies are able to collect volumes of quantitative and qualitative data that can be analysed to identify trends, gaps, and risks. Over the last five years, there has been tremendous attention placed on big data and its value to companies, customers, and society as a whole. According to App Developer Magazine, “More data was created in the last two years than the previous 5,000 years of humanity,” which is why companies are investing heavily in business intelligence software to help them collect and mine their data. Big data, along with IoT, has the potential to provide companies with a better understanding of their operations, employees, customers, and larger trends in society. For many, data analytics promises to unlock a world of previously unknowns to drive operational efficiency, increase revenue, respond to customer demand, and keep shareholder returns growing. Many organisations collect, process and store volumes of environmental and safety data, such as air emissions, water use and discharges, waste generation, injuries, and risk assessments. However, much of this data is locked away in spreadsheets or various databases that can’t ‘speak’ to one another or that few can access. This is what is known as ‘dark data’. 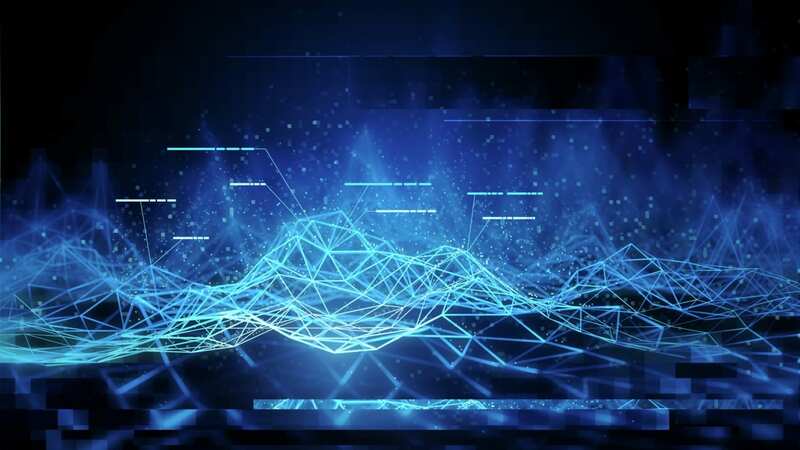 While environmental, health, and safety (EHS) professionals understand the data, they may not be able to eliminate the noise that is inherent within large datasets or they may improperly correlate data, which makes it hard for them to capitalise and drive their EHS programs and organisations forward. This is rapidly changing as companies look to make their operations cleaner and safer for their employees and the communities in which they operate. Even government agencies that regulate companies’ EHS activities are using big data. For example, the UK Health and Safety Executive are using predictive data analytics to improve their effectiveness in identifying which organisations they will audit or inspect. For those looking to augment their EHS programs with data analytics solutions that go beyond spreadsheets, it’s important to understand the 5-Ps of EHS big data before implementing any system: prevention, predictive, proactive, personalised and profitable. Prevention is all about using data to avoid compliance violations, reduce the number of incidents, anticipating maintenance needs before a non-compliance event occurs, and managing change. Using big data to help manage these three areas relies on understanding what data is available, having it available in a timely manner, and being able to relate the data to conditions on the ground in a near real-time manner. Companies that can successfully mine their compliance and asset management data are able to avoid production downtime, costly maintenance repairs, and avoid fines and penalties from regulators due to permit violations, which increases their operational eco-efficiency and profitability. Predictive analytics utilises artificial intelligence and machine learning to assist companies in identifying areas of their business that are most at risk for something negative occurring. Using predictive analytics in the EHS space is relatively new, but the science behind it is rapidly advancing and helping transform the way companies view EHS. Predictive analytics relies on complex modelling and in the EHS realm, localised datasets are needed to reduce the prediction error. Utilising predictive technologies enables management to be more proactive and opportunistic in the way they manage their operations. As noted above, leveraging big data and predictive analytics enables managers to be more proactive. Management and subject matter experts can quickly identify trends and put preventative measures in place before a process, procedure or asset fails. By collecting and analysing leading and lagging indicators, companies are able to make proactive decisions, which reduces costs and the risk of a non-compliance event. Because of the volume, velocity, and variety of data that may be collected, it is imperative that companies personalise the whole process. Employees love to be on the cutting edge of technology and providing them with the latest IoT gadget will give them a sense of ownership in the process. Personalisation also means making the data they are collecting meaningful to them. Dashboards are a great way to personalise data to employees and easily demonstrates to the employee that the work they are doing matters. Dashboards are also a great way to reaffirm the company’s commitment to transparent communications. EHS professionals who are able to successfully implement big data programs, will undoubtedly be able to demonstrate cost savings to management through continuous improvement efforts. Examples of cost savings include an annual decrease in regulatory fines and penalties, eliminating hazardous waste streams from the manufacturing process, or reducing worker compensation cases. Staff members may also want to demonstrate how their preventative maintenance program successfully reduced operational downtime, eliminated duplicative workflows, and enabled employees to be utilised more effectively. Remember, costs savings are always a lagging indicator, so it will take time before one can demonstrate to management that the cost savings were real and justified the investments. In conclusion, big data has the potential to transform business and enable companies to unlock cost savings and new revenue streams. For early adopters to be successful, it is critical for them to work with their technology partners to help determine what data is useful and what data is noise. This will help reduce the risk of the system returning false positives or negatives. Early adopters will also be able to help drive the user experience to help make these complex systems simple to use for the end user. Companies are increasingly looking at ways to reduce costs and optimize staffing, which is why EHS professionals need to be leveraging IoT and business intelligence technologies. Business intelligence software that can handle big data has the potential to help EHS professionals demonstrate value by improving performance, driving down compliance costs, mitigating risks of non-compliance events, and improving operational eco-efficiency.